Cancun, a very important tourist destination in México, located on the coast of Yucatán Peninsula and state of Quintana Roo. Cancún is the perfect destination for beach lovers, families, eco-adventures and foodies. Time needed to visit Cancun: It is difficult to advice how much time you need to enjoy and discover Cancun. All depends on your interests, spend some days relaxing in turquoise waters and white sands and some days to explore things around Cancun. We spent 7 days in Cancun just relaxing at the beach and then we moved around some days to explore the islands in nearby. Cancun has two main districts or areas and each has different things to offer. 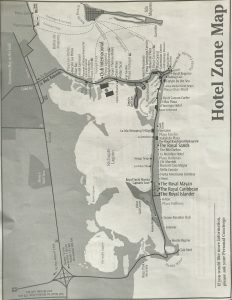 Hotel Zone, where most of the tourists want to stay, with pure white soft sand to get your perfect tan though. Well set out and safe, the road Boulevard Kukulkan runs the length of the Hotel Zone. A bus runs 24h from Hotel Zone to Downtown, during daytime the frequency is less than 5 minutes and the price is fix 12 Mexican pesos or 1$. From Cancun airport you have two possibilities to reach the Hotel Zone: with a Van, called “Furgonetas compartidas” which will cost you 12$ but you will need to wait until the van is full. The other option is to take a private taxi which will cost you about 45$. Downtown, el Centro from Cancun. The area where the locals live and where you will experience real Cancun, not in Hotel Zone, where you will have your comfort. Surrounding Cancun are four islands, each with they own charm: Isla Holbox, Isla Mujeres, Isla Contoy and Puerto Morelos. Isla Holbox, a barrier island which rests off the Yucatan´s northern coast, it´s three times larger than Isla Mujeres and its water is clear and shallow. Isla Mujeres, just 7 km long and 5 km wide with a tropical charm. Its most popular beach Playa Norte. Read our next Isla Mujeres by Born Backpacker guide to know more about it. Isla Contoy, lies about 35 km to the north of Cancun, if you are a birdwatcher don´t miss this trip. Puerto Morelos, its beaches are perfect for the most adventurous, perfect for snorkelling and scuba diving. Kilometres and Kilometres of pristine white sand beaches and turquoise waters make Cancun a destination for beach lovers. Its beaches are among the world´s finest. We can differentiate four water areas, Bay, Lagoon, Caribbean and Puerto Morelos. Cancun has a lot of bars and night clubs to offer, most of them in Hotel Zone and downtown, in Hotel Zone they are all grouped and some of the night clubs have made Cancun´s nightlife famous. If you are into party, this is your place. Coco Bongo, one of the best night clubs in the world, located in the heart of Hotel Zone nightlife area. It is famous for its shows, live bands, good Dj´s, special effects and an extraordinary musical mix. The city, the largest night club in Latin America, nearby to Coco Bongo in Hotel Zone. With three levels and capacity for more than 6.000 people. 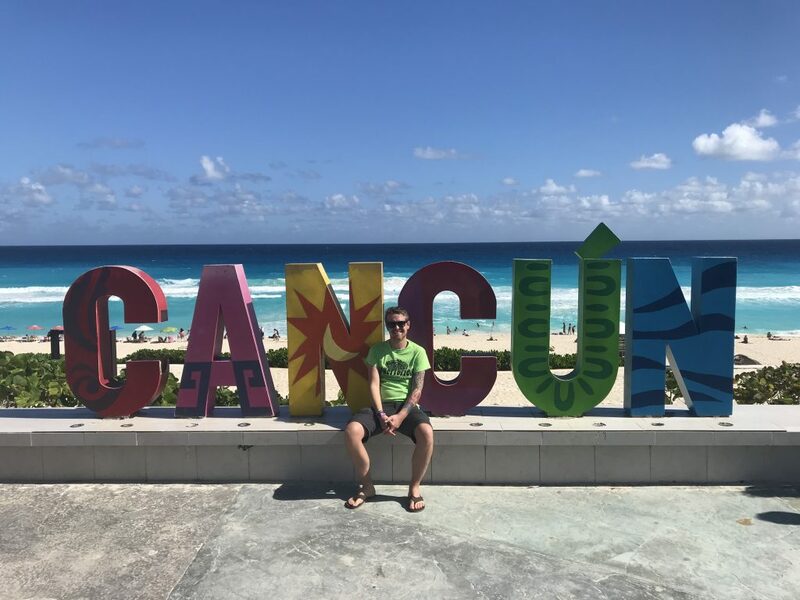 Tips where to sleep, what to see and how to visit Cancun. When you visit Cancun you have actually two options to choose where you want to stay. In Hotel Zone, where you find the spectacular coastline with hundreds of resorts and restaurants or in Downtown, the mainland district in Cancun where you will find cheaper options. We booked an apartment for a week in Hotel Zone for 40$ the night it wasn´t on the first line of the beach but we could see the sea and wake up every day with the sea sound. If you are planning to stay long in Cancun and explore the surrounding with day trips we recommend you the following ones, of you plan to move down to Playa del Carmen and Tulum this spots are in the nearby so maybe be cheaper to take the day trip from Playa del Carmen or Tulum. Cobá, an archaeological spot, located deep in the jungle 173 km from Cancun, famous for his Nohoch Mul pyramid, the tallest in Yucatan area. Chichén Itzá, capital of the Itzae Maya. A masterpiece of architecture and art, the major buildings are Pyramid of Kukulkán, the Observatory, the Temple of the Warriors and the Ball Court. To move around you can do it by car or by public transport. I need to say, that we were positive impressive about the buses infrastructure is Mexico, they have a good network which connect all the cities. We just moved around by bus and safe some money for the rest of the travel. Here we leave you the links to check the buses schedule in all Mexico. We recommend you to go to the central station and by the tickets some days in advance, most of the times you get discount. We hope you like our Cancún Born Backpacker Guide, follow us there is more to come! Next Stop after Cancún was Isla Mujeres, we recommend you to read our insider tips.